Smart speakers are great, but for the most part, they're stationary. 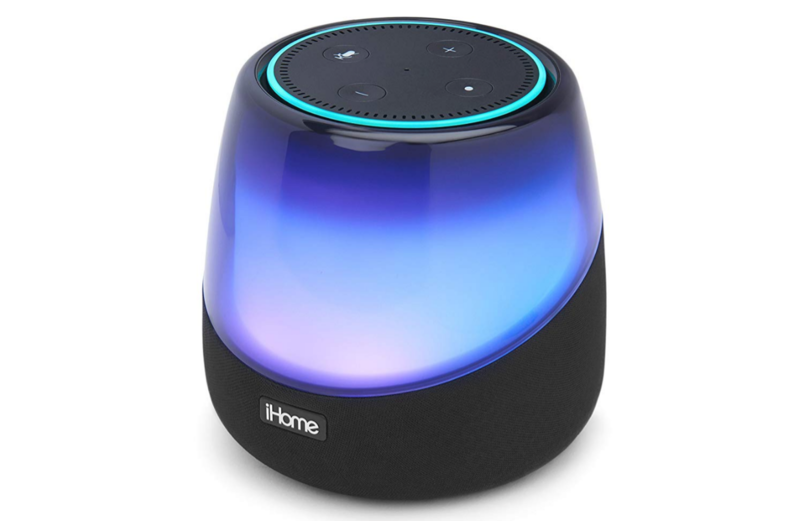 If you sometimes want to take your Echo Dot out onto the patio, you could run an extension cord — but a more flexible solution would be something like the iHome iAV5, which attaches to the Dot to provide both battery power and improved sound. Right now, it's 20 bucks off on Amazon. Not only does the iAV5 improve the Dot's sound and mobility, it also lights up in a bunch of different colors (five, to be precise). It can even pulse with your music, if you're into that sort of thing. 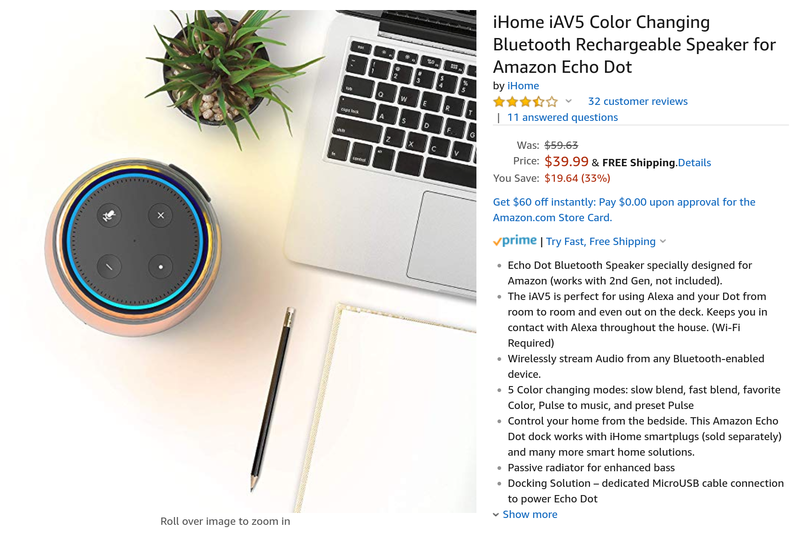 It's designed to work with the second-generation Echo Dot, and is currently $39.99, down from its usual $59.63. While most reviewers were pleased with the speaker, awarding it either four or five stars, some did report connectivity problems or dissatisfaction with the sound quality. It also charges with Micro USB, which is gross. Still, a lower price could mitigate some issues, and the convenience of a fully-mobile (well, Wi-Fi permitting) smart speaker is pretty alluring. Head to the Amazon link below to grab yours.